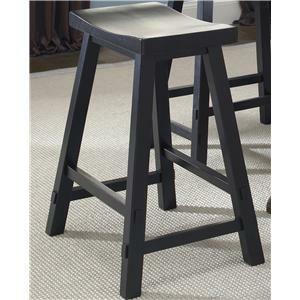 The Sawhorse Barstool features a casual style in a tobacco or a black finish. It offers a 24 inch wood seat and straight wood legs, which accommodate your personal space perfectly while a Tobacco color or Black color are offered to suite personal style. 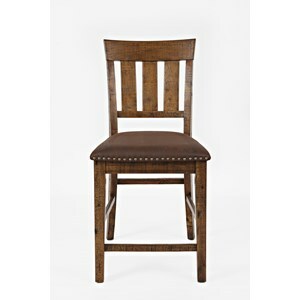 Pair with the pub table for a perfect pub set. 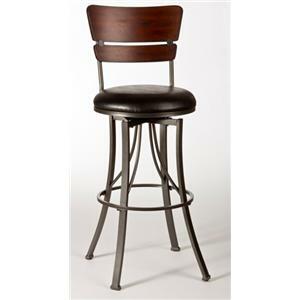 The Creations II 24 Inch Sawhorse Barstool by Liberty Furniture at VanDrie Home Furnishings in the Cadillac, Traverse City, Big Rapids, Houghton Lake and Northern Michigan area. Product availability may vary. Contact us for the most current availability on this product. Finish Tobacco and Black & Tobacco Wood Finish. 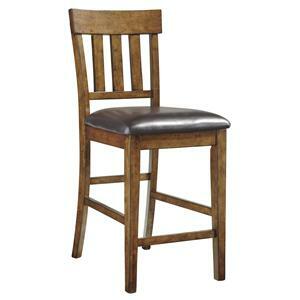 Looking for a warm and inviting pub or dinette set? Welcome the Creations collection with its irresistible appeal in rich wood veneer. 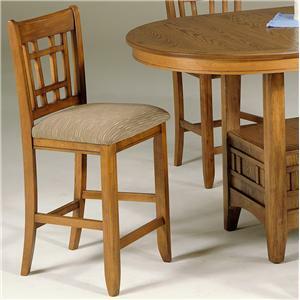 Creations II pub set consists of gathering height sets and dinette sets. 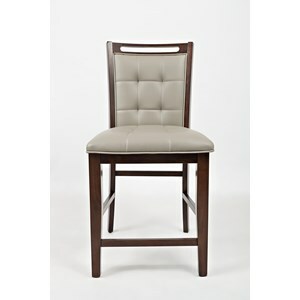 This collections features spindle back chairs with nylon glides, while the table tops offer a butcher block style and space saving design. Pieces are available in either a white, blue, rich Tobacco or two-toned Black & Tobacco to accommodate personal style. The simple design of this dinette collection is sure to lend a special and clean atmosphere in every home. The Creations II collection is a great option if you are looking for furniture in the Cadillac, Traverse City, Big Rapids, Houghton Lake and Northern Michigan area. 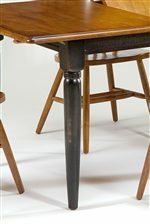 Spindle Table Legs with Two Tone Finish. Browse other items in the Creations II collection from VanDrie Home Furnishings in the Cadillac, Traverse City, Big Rapids, Houghton Lake and Northern Michigan area.